Two more former Russian Guantanamo detainees were arrested today on “suspicion to create terrorist attacks”, according to Moscow News. 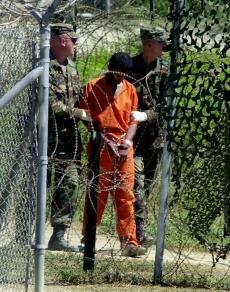 Human Rights Abuses at Guantanamo Detention Center! Of the seven released Russian Guantanamo detainees, only two are not in custody. Three other former Guantanamo prisoners have been detained in Russia’s Tatarstan Republic on the same charges, the paper adds.